The new home community of Atascocita Trace in Humble, TX is just one segment of the rich Texas history that began in the early 1700’s. This new home neighborhood is just one part of the massive real estate development of Atascocita – a highly popular and fast growing residential area located 18 miles north of downtown Houston. The town borders fabulous Lake Houston; which along with the peaceful tranquility of the lake residents can choose from a wide selection of golf courses, parks, and other unique family oriented hotspots. The major highway of FM 1960 runs North and South of Atascocita proper and is less than 7.5 miles from George Bush Intercontinental Airport. Commuters also enjoy less than four-mile drive to Hwy 59 freeway entrance. Deerbrook Mall is slightly less than ten minutes away and school age children attend top-rated Humble Schools, which are graded in the top ten GreatSchools.com public rating system. 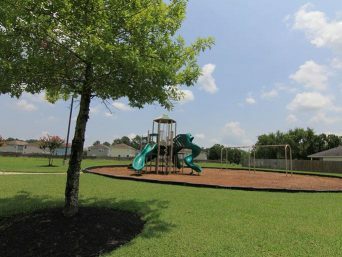 If your home buying wish list includes friendly neighbors, being surrounded with colorful landscapes and tall green pines, picturesque water views and sports activities – then everything you are looking for is here in Atascocita Trace in Humble, TX.